ab24865 recognises Hepatocyte Growth Factor (HGF). Our Abpromise guarantee covers the use of ab24865 in the following tested applications. ELISA Use a concentration of 1 - 15 µg/ml. WB Use a concentration of 1 - 2 µg/ml. Predicted molecular weight: 83 kDa. Sandwich ELISA Use a concentration of 0.5 µg/ml. Can be paired for Sandwich ELISA with Mouse monoclonal [EGH2 4C12.1] to HGF (ab10829). 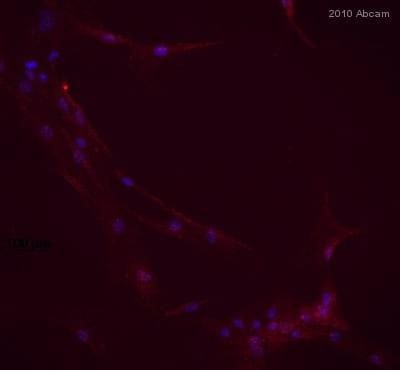 For sandwich ELISA, use this antibody as Detection at 0.5µg/ml with ab10829 as Capture. Standard Curve for HGF (Analyte: ab632) dilution range 1pg/ml to 1ug/ml using Capture Antibody Mouse monoclonal [EGH2 4C12.1] to HGF (ab10829) at 5ug/ml and Detector Antibody Rabbit polyclonal to HGF (ab24865) at 0.5ug/ml. Will this antibody recognize the inactive & active form of the protein? 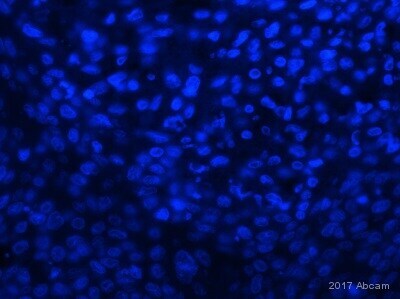 The antibody was generated against the active recombinant protein of HGF, so it should also recognize the inactive precursor form. However we do not have the possibility to check it.